What is the Sports Inclusion Development Programme? 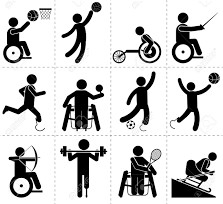 In 2006, the Dormant Accounts Fund earmarked €2 million nationally for projects which addressed the imbalance in opportunities for people with physical, learning and sensory disabilities to participate in sport and physical activity. For more information on the Sports Inclusion Development Programme, contact the office on 057 93 57463 or by email.